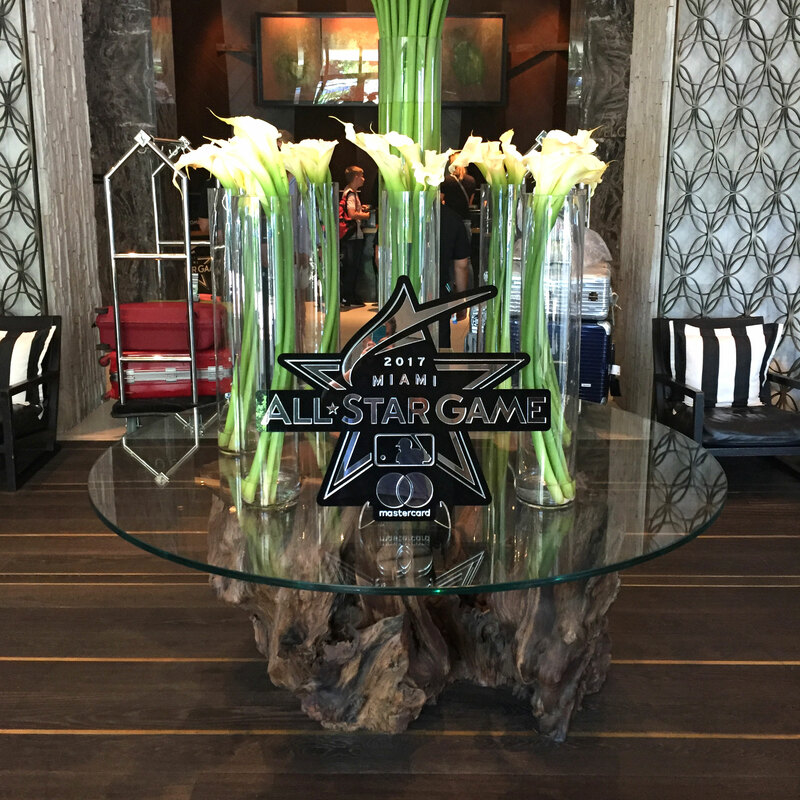 MLB All Star Game - Pure Black, Inc. 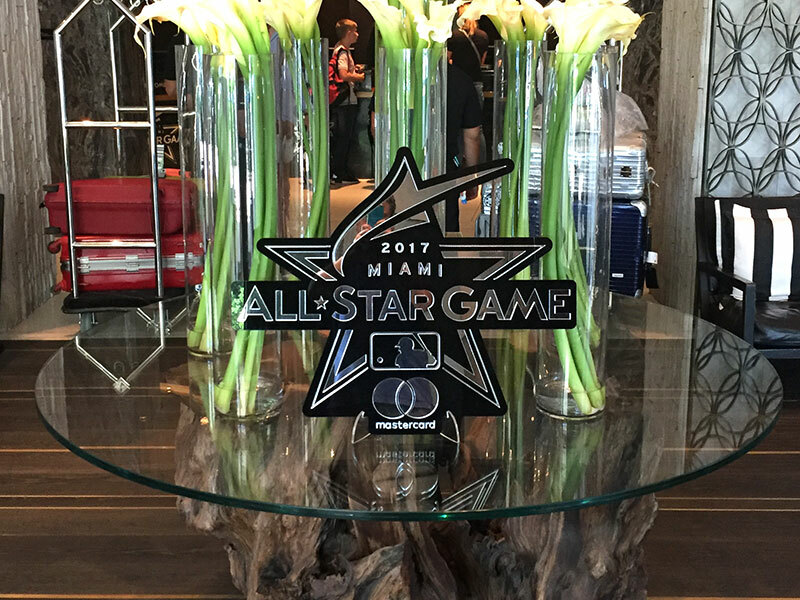 Welcome signs for the MLB All Star Game 2017 in Miami in the lobbies of the hotels housing the players. 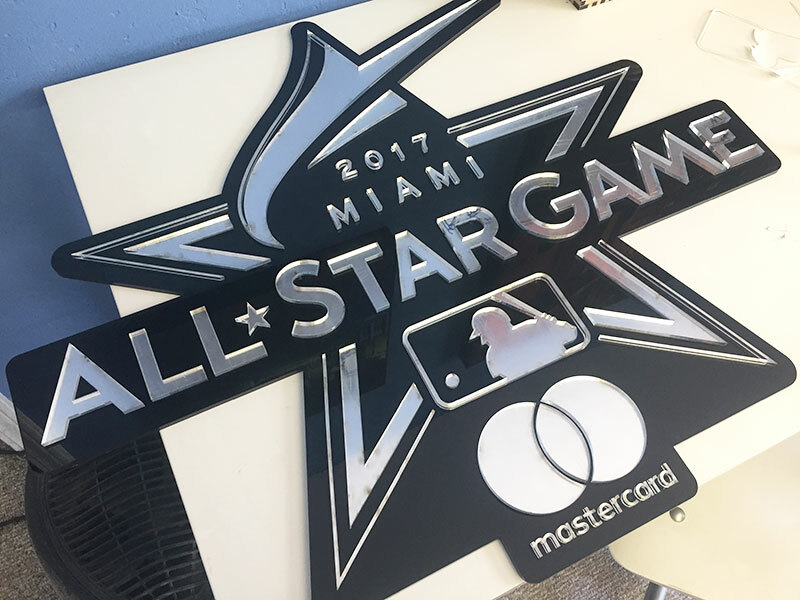 1/4″ black acrylic with 1/8″ raised mirror text and icons. Thanks to Shawn Jacobson at Color Reflections for connecting us on this one.